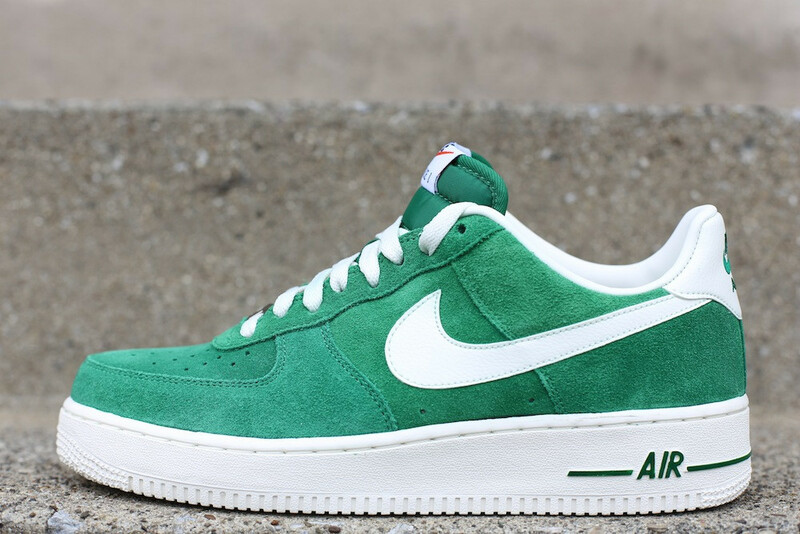 A closer look at the Pine Green colorway of the Blazer-inspired Air Force 1 Low. Nike Sportswear combines two timeless basketball models with the Air Force 1 "Blazer Pack", with versions of the Air Force 1 in Blazer-esque suede make ups. 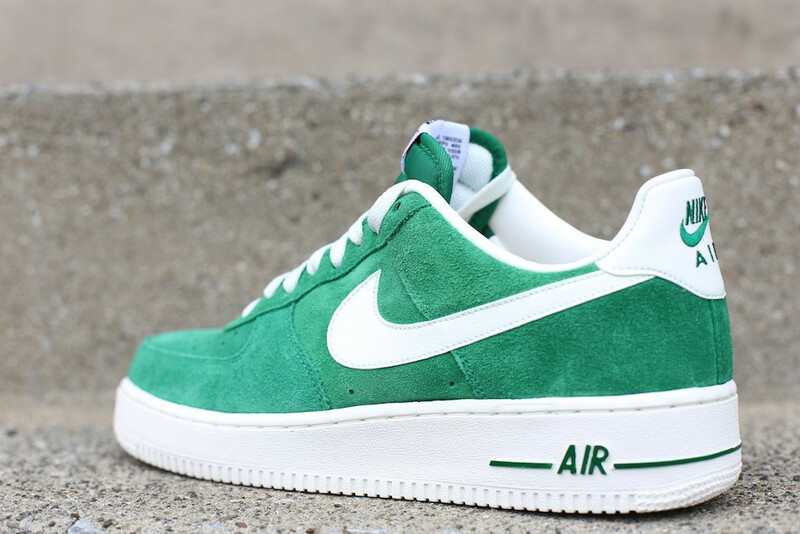 This Air Force 1 Low features a Pine Green suede upper and Nylon tongue in classic Blazer color blocking with Sail (white) taking care of the accents and sole. Look for the Blazer Pack 'Pine Green' Air Force 1 Low now at select Nike Sportswear retailers, including Oneness Boutique.